What is your record number of flights in a save? I just figured i would ask the questing. My current (and all time) most flights is 78. That is mainly because i started my Elcano challenge on a save that i had already imported from .90. While 60 - something of those flights are flags, it has been my main sandbox save for 2 versions now. So how many flights do you have in your save? Not very much since my current career save is pretty new. My Eve save only had 48 flights at it's maximum but they all headed out to the invade a single planet at once... It started out innocently enough - I just wanted to take advantage of the transfer window to Eve in order to set up a colony. Then things started getting out of hand, five launches turned to ten then twenty then thirty because you know - I had to make sure I had everything, the transfer window was coming up right away and I didn't want to miss it; I would have to wait almost a whole year for the next one (gasp). The arrival at Eve wasn't quite so orderly and was more reminiscent of an invasion rather than exploration or even colonization. 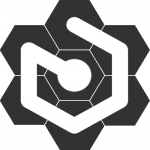 I sent a bunch of probes first of course because you need to be able to harvest that data. A fuel depot is an absolute necessity. 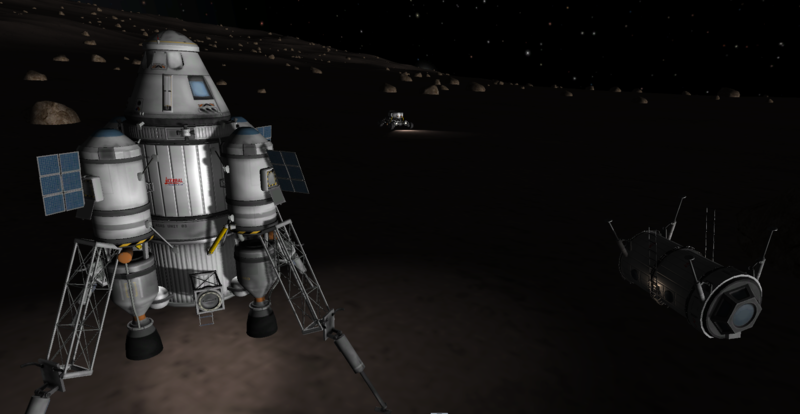 A small outpost on Gilly (I still need to get that module the right way up). 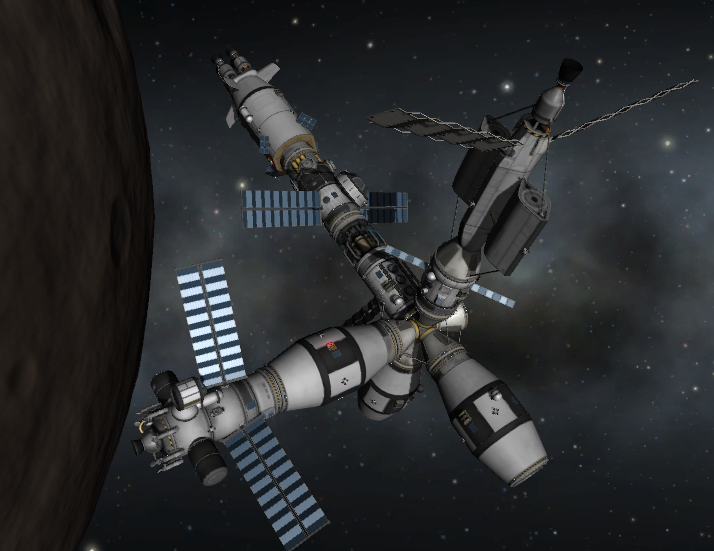 And of course Gilly needs it's own space station as well. 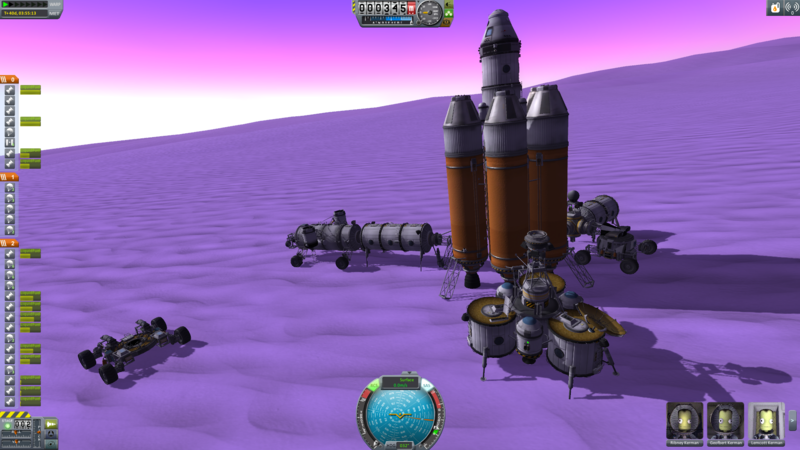 The large base on Eve was the most difficult and time consuming thing I've ever built. 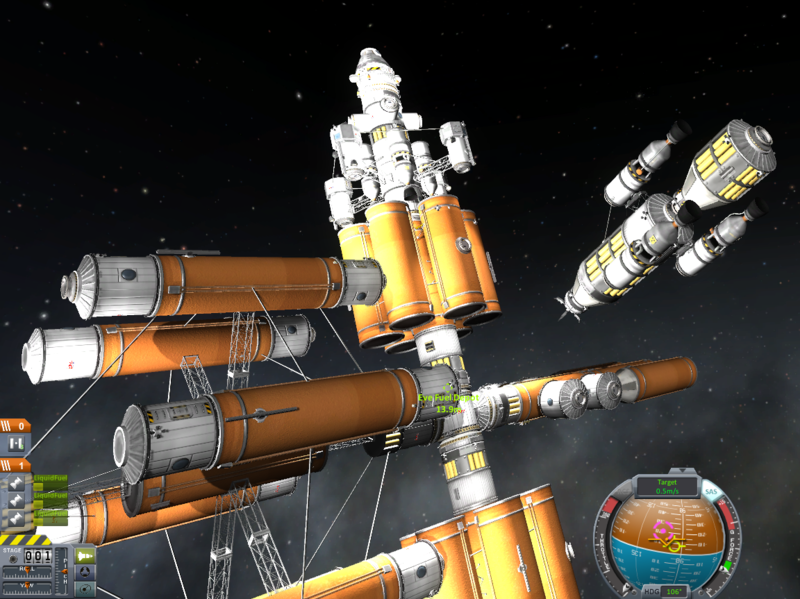 And just for good measure I added a smaller outpost close by as well. I guess the most impressive thing I built was the space station. I called it Armenia after "The Who" song "Armenia City in the Sky". Don't get to crazy on the colonization it will MESS YOU UUUUUUUUP! 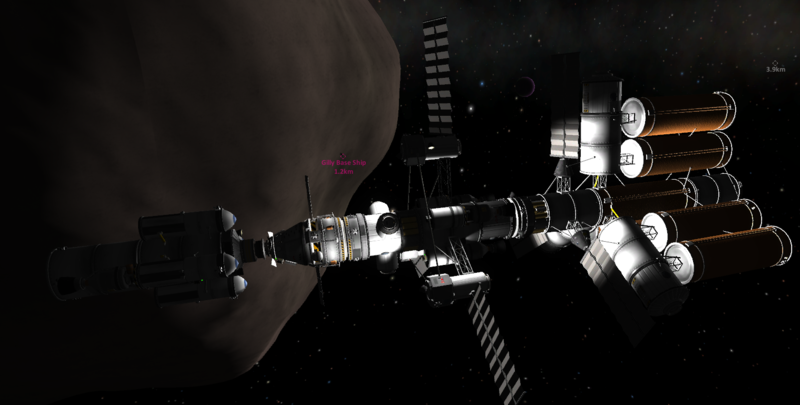 I've done some updates to the save game and removed a bunch of the outdated craft and consolidated modules into bases and space stations so there are only 20 flights left but they are all on and around Eve and Gilly. These stations. I see them and my brain thinks in seconds per frame. How long did it take to dock one thing? Which turned into 1325 after it collided with my second launch. I have over a hundred in my 0.23 save, (the one I often use). However over half of them are flags scattered around the system, and another quarter are just "permanent" things such as stations, bases, and satellites, or rovers. I never really have more than 3 actual missions at the same time. I currently have 21. That's going to expand rapidly once I move my communications network beyond LKO. The game was extremely laggy when I had everything in orbit and trying to align large parts was almost impossible. Put it this way I've repressed the memories that's how bad it was... LOL. I've got a new computer now so it's not so bad and I've either trashed most of the flights because they don't work in 1.0.4 or I've consolidated all of the bits into stations and stuff. I purposefully try to cull the numbers whenever possible. When I first started playing, I would let it get up to 20+, but nowadays I try to keep it less than 10. 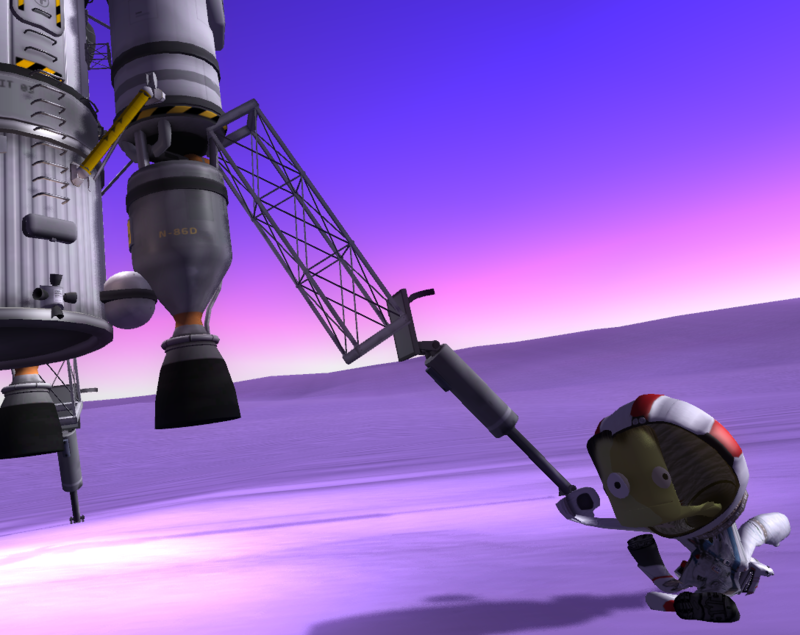 My biggest save (Duna Kolony) is currently at 6. Without KAS to connect bases together, it'd be more like... well 20 or so. I don't remember what my high water mark was, maybe about 40-50 with most of those being flags. 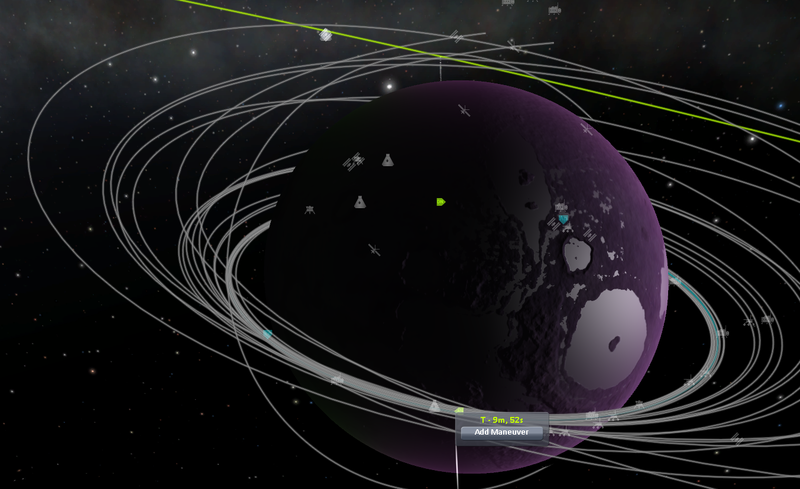 I typically don't like to have a lot of stuff in orbit because it clutters up the map view. I usually keep old stuff around only if I can get something useful out of it in the future, such as utilizing an old probe to fulfill a new contract for some quick and easy cash. Otherwise I like to terminate stuff to keep the clutter down. I try to keep all my save games less than 20, I just do more with each flight. 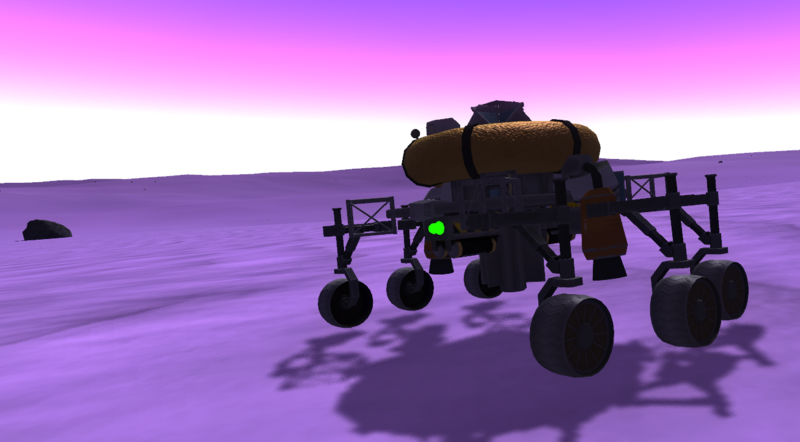 When I design craft they have everything on board so that I can refuel, map, do science and rove around the surface of any planet or moon. My plan is to have an entire Kerbol system infrastructure in place with refueling stations around every planet with less than 20 flights. Mine is over 116 on an old save. Think I might have ended up at 129 not sure? Currently at 79 flights. Think I'll slowly creep up to 100 and maybe beyond someday. Like, 5, I like to keep things clean and do one mission at a time. I've only gotten about ten, but I glitched out Custom Asteroids and I ended up with 10843 asteroids on count, not that asteroids don't count as flight. Laggy as hell. I think I managed to get up to around 130 flights in one of my older saves... looking back, it was probably because I sent that save out (0.18 to 0.20, may it rest in pieces) in a blaze of glory and had an interplanetary war with myself (Kerbals vs. The Kraken). The end result was a lot of debris (which didn't necessarily count towards the final flight count) and discarded probes (that acted as missiles in the battles). 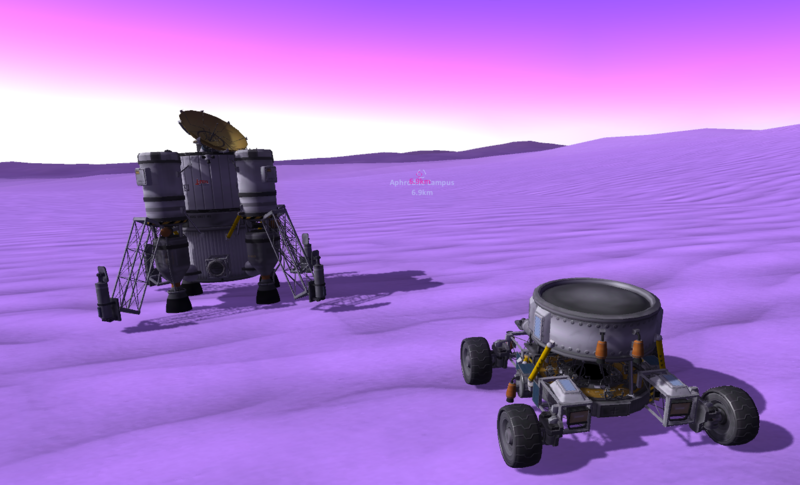 Think it was 79, though it was mostly ion probes and a rovers. I believe landed vessels don't cause any background processing lag. 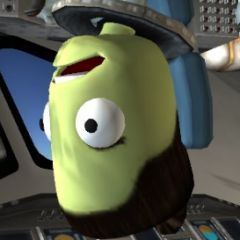 Yes, KSP crashes a lot.